After a while, I decided to create a completely new website design. Therefore, I recreated the website using HTML5, CSS and Bootstrap. The colour design is based on Google’s Material Design, I hope you like it. 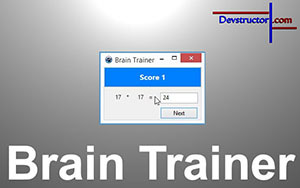 One viewer has published his own brain trainer on GitHub and asked for some response. In this video, I will give a short demonstration of this project and leave some comments. Newsletter - stay up-to-date and get notifications when new content is released! Feedback - help to improve the quality of my content! 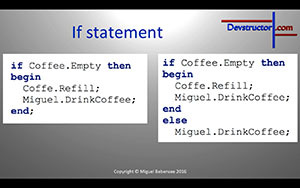 Again some theory, but this knowledge is extremely important and needed in the every day life of a software developer. 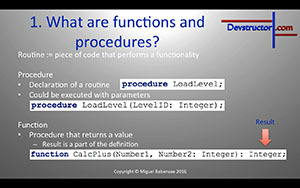 We will talk about procedures and functions, the positive effects of using these and implementations in Lazarus/Delphi. Therefor I would like to show the basic declaration, forward declaration, interface and class declaration of procedures and functions. In the end of this video series you should be able to develop your own applications for Windows, Linux and Mac. Moreover you should have understood the concept of programming and the necessary knowledge to continue your journey. Perhaps you have noticed that using a calculator could decrease your mental calculation skills. 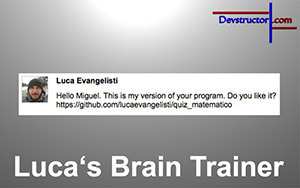 But don’t be scared, because we will develop a math trainer that could solve this problem. 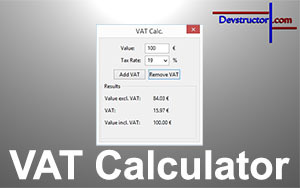 The goal of this video is to create an application that will automatically generate formulas. The user has to type in the correct result and will receive some points. In the end of this video series you should be able to develop your own applications for Windows, Linux and Mac. Moreover you should have understood the concept of programming and the necessary knowledge to continue your journey. 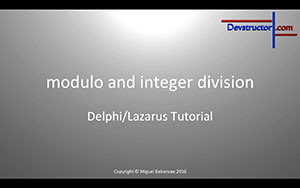 New tutorial: Lazarus Tutorial #2 - Hello world! In this video I will continue the video series about learning programming with Lazarus (Free Pascal). We will create our first application featuring a fancy button and a nice label. 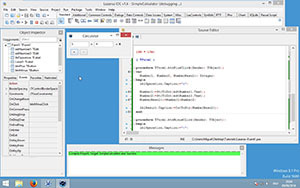 Moreover we will build this project to be able to share the final executable with friends. In the end of this video series you should be able to develop your own applications for Windows, Linux and Mac. Moreover you should have understood the concept of programming and the necessary knowledge to continue your journey. 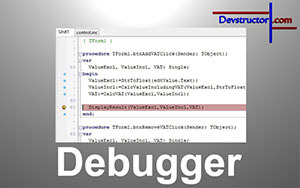 At the beginning of this video I will start with a short overview of learning programming. Moreover I will continue with the installation of the Lazarus IDE. 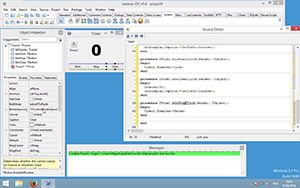 We will use Lazarus (Free Pascal) to start with small applications and to reach a basic programming knowledge. In the end of this video series you should be able to develop your own applications for Windows, Linux and Mac. Moreover you should have understood the concept of programming and the necessary knowledge to continue your journey. 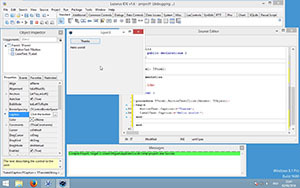 It's also possible to do this tutorial with Delphi. 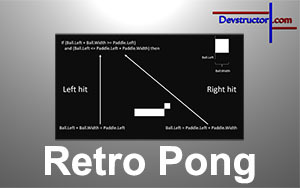 After a long period of nothing I’m back with a short presentation about the past and the future of my Youtube channel. In this video I will talk about some mistakes and what to expect from the future.